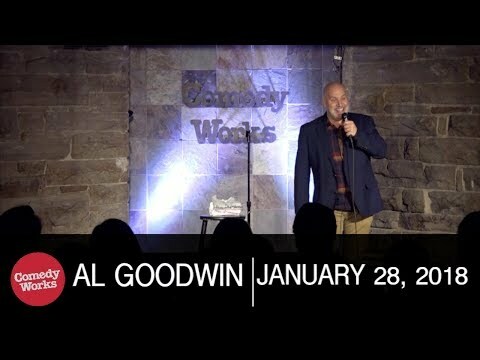 One of the funniest and respected comics on the circuit today, Allan Goodwin is well received in any venue, anywhere, anytime. Allan Goodwin (aka “Badgerine”) connects with his audiences–getting them to appreciate the lighter side of their own lives relating his own life experiences. Allan entertains a vast audience base, from a 100% clean comedy show including families, to late-night R-rated comedy clubs. Audiences really relate to his persona – Badgerine – a hilarious look at life with ADD. He was a first place satellite winner in the World Series of Comedy, interviewed on The Billy Bush Show, and has been seen in several PBS commercials. Regularly headlining a variety of corporate venues, Allan also performs at U.S. comedy clubs, theaters, casinos, resorts, colleges, and military bases. He was featured on the national TV show Laughs on Fox. In 2014, Al was the host of the 2014 Television, Internet and Video Association (TIVA) Awards Gala at the National Press Club in Washington DC, and he represented the East Coast in the HBO's Lucky 21 Contest, a Las Vegas Comedy Competition. If you haven't experienced an Allan Goodwin show or met “Badgerine,” put this on your “must do” list and bring some friends.